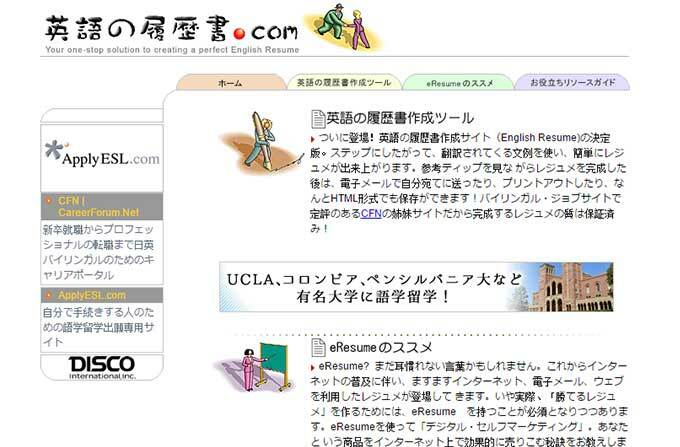 Products and Services | DISCO International, Inc.
An online, career portal site for the Japanese-English bilingual. It provides global, employment information to all levels of job seekers, including international students in English-speaking countries, as well as experienced professionals. 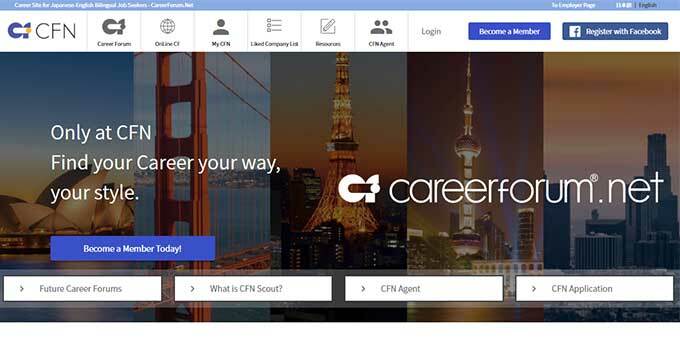 In addition, it functions as the official site for our Career Forums held six times per year. Since its initial inception in Boston in 1987, the Career Forum has continually brought together Japanese-English bilingual job seekers and world-class companies in search of this type of talent. The Career Forum takes place six times a year in London, Tokyo(Summer and Winter), Los Angeles and Boston. An English resume creation site. Selected phrases in Japanese for each category are automatically translated into English and placed into the appropriately designated locations within the resume. These functions make it easier for those who would like to create an English resume, but have not yet prepared one. Additional functions include formatting, composition, and output style. 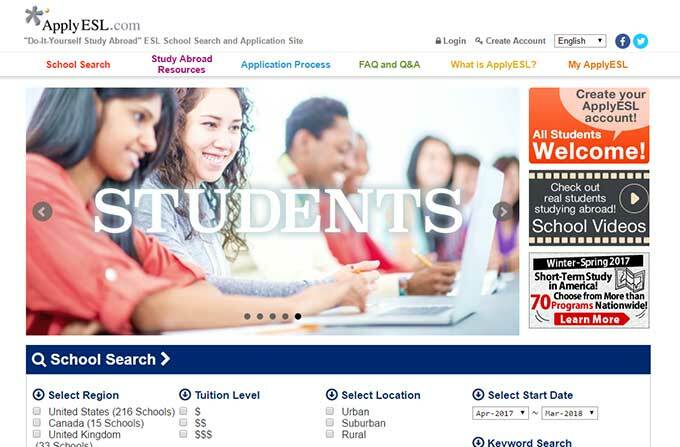 An all-inclusive “Do-It-Yourself Study Abroad” ESL School Search and Application Site. Information regarding more than 200 ESL schools in North America and the United Kingdom is available and allows for direct applications to these schools. In addition to school information, content, such as school rankings, student reviews, and steps to studying abroad are available in order to enhance school selections. The site offers services in five languages: English, Japanese, Chinese(Traditional and Simplified), Korean and Spanish, and has been utilized in more than 80 countries worldwide.